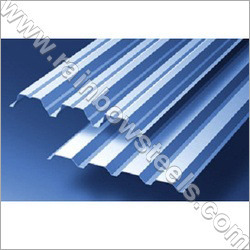 Trapezoidal Profile Sheets are available in trapezoidal shape and are used for roofing purposes. These have outstanding durability, formability, heat reflectivity, ridge & curve profiles and tensile strength. Also known for long life functionality, these roofing sheets are also known for having good resistance to a wide temperature range.